You are here: Home / Is It Paleo? / Are Nuts & Seeds Paleo? 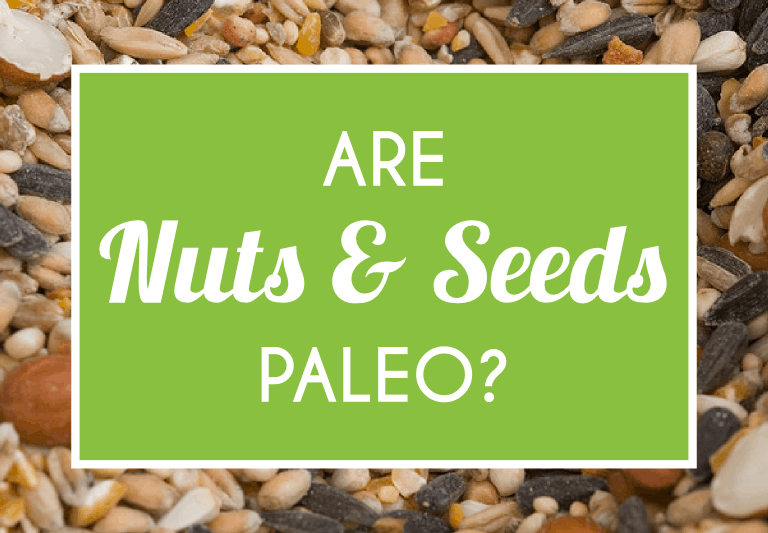 Are Nuts & Seeds Paleo? Yes. Nuts and seeds are paleo (just be careful that you aren’t mixing up nuts with those that are really legumes, which aren’t paleo). Why Are Nuts And Seeds Paleo? Is There Any Confusion When It Comes To Nuts and Seeds Being Paleo? So Are Nuts And Seeds Paleo? Various nuts and seeds have a multitude of impressive health benefits and, because of this, they have been eaten for thousands of years around the world by some of the healthiest populations living in places like the Middle East, Asia, and the Mediterranean region. Various long-term nutritional studies have shown that consuming nuts and seeds at least several times per week is associated with less disease development, less risk of getting cancer, heart disease, and stroke, and increased longevity. You’ve probably heard that nuts and seeds contain “good fats”, but what makes them so good? Nuts and seeds have been shown to improve lipid profiles and to help normalize blood pressure. Walnuts, almonds, flaxseeds, and chia seeds have also been shown to improve heart health by improving cholesterol levels and by lowering harmful blood serums. They are thought to do this by protecting the structure of cell walls and keeping plaque from forming, thanks to their powerful chemical substance named arginine. Studies have also shown that although they are high in calories and contain a lot of fat per serving, nuts and seeds can aid in weight loss by helping to increase our feeling of satiety and fullness after eating, by reducing sugar cravings, and by improving our bodies’ ability to burn stored fat, thanks to how they activate beneficial enzymes in the liver that break down fatty acids. Nearly all nuts (almonds, cashews, walnuts, brazil nuts, hazelnuts, macadamia nuts, and others) are considered paleo, although it’s important to point out that peanuts are not actually nuts at all (they are actually more similar to beans than nuts). Contrary to what most people think, peanuts are legumes and legumes are not paleo due to their harmful effects on digestion and nutrient absorption. While nuts are extremely healthy and encouraged on the paleo diet, especially walnuts and almonds, they are not intended to be eaten in unlimited quantities. It’s best to keep an eye on portions and get to healthy fats from a range of whole food sources (wild fish, healthy oils, coconuts, and avocados are great options) because other sources provide other important benefits, for example a more ideal ratio of omega-6 to omega-3 fatty acids. Seeds are considered very healthy foods with “good” fats, although different seeds contain different amounts of omega fatty acids (which are what make them so good for you). Some seeds, like flax seeds and chia seeds, are a great source of omega-3 fatty acids, while others, like sesame seeds, have more omega-6s ,thanks to their high levels of polyunsaturated fatty acids. Because so many people with poor diets already consume too large an amount of omega-6s, the paleo diet tries to balance omega-6s with omega-3 fatty acids. So, for this reason, the best kinds of seeds to consume are flax, chia, and hemp seeds, although you can still enjoy all different types in moderation. Nut and seed pastes, butters, and dressings that are made using nuts and seeds, for example almond butter and tahini, are also paleo. Just remember that peanut butter isn’t paleo because peanuts aren’t paleo. Oils made from nuts and seeds, like flax seed oil and hazelnut nut oil, are also paleo. For the most part there is not much confusion about these foods. Most people agree that they are paleo. However, people do get confused when it comes to peanuts and peanut butter not being paleo, which we explained earlier. Another area of concern and confusion is when it comes to roasting, ”candying”, salting, or flavoring nuts and seeds and their butters. There is a big difference between raw, unprocessed nuts and those that have been roasted, salted, sweetened, and blended with harmful additives (like hydrogenated oils in some nut butters for example). Simple is always best when it comes to nuts and seeds. The least amount of processing and cooking, the better. This means raw and sprouted nuts are best (especially when they’re organic) and that types that are not flavored or blended with other ingredients are also good choices. Whenever nuts or seeds are used commercially to make a paste or butter, the chances are that they are heated to a high temperature during their processing period, which can lead to them becoming oxidized, turning toxic, and losing many of their nutrients. Always buy quality nuts, seeds, pastes, and butters, and check ingredient labels to see which ingredients may be lurking in your nut mix. Yes. Nuts and seeds are paleo. As a reminder, however, peanuts however are not paleo, because they are not truly nuts. 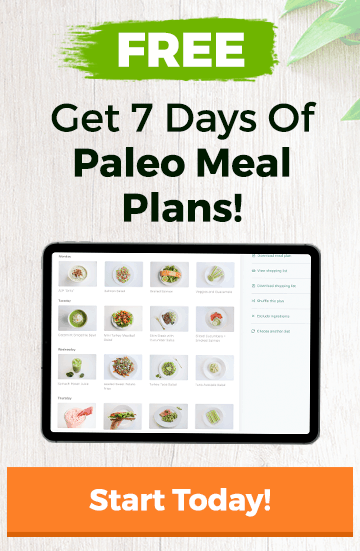 Check out Paleo.io, the mobile app that answers the question, “is __ paleo?” Paleo.io comes with the most comprehensive paleo diet food list out there, so no matter which food you’re confused about, you’ll always be able to find out whether or not it’s paleo.